This morning I was thinking…. I am going to take today off – kind of a private Mother’s Day Celebration! Kids are at school & with their dad today. The dog and I can lay in bed all morning, sip coffee, watch last nights Grey’s Anatomy & whatever else…. I can take a day off from worrying about job applications, cleaning house, getting anyone to practice, or games, or whatever…. I don’t even have to cook dinner tonight, because I am the only one eating (snacking, whatever)! I mean – best Mother’s Day gift ever, right?!? Then mom-reality sets in…. I need to at least go to the store. 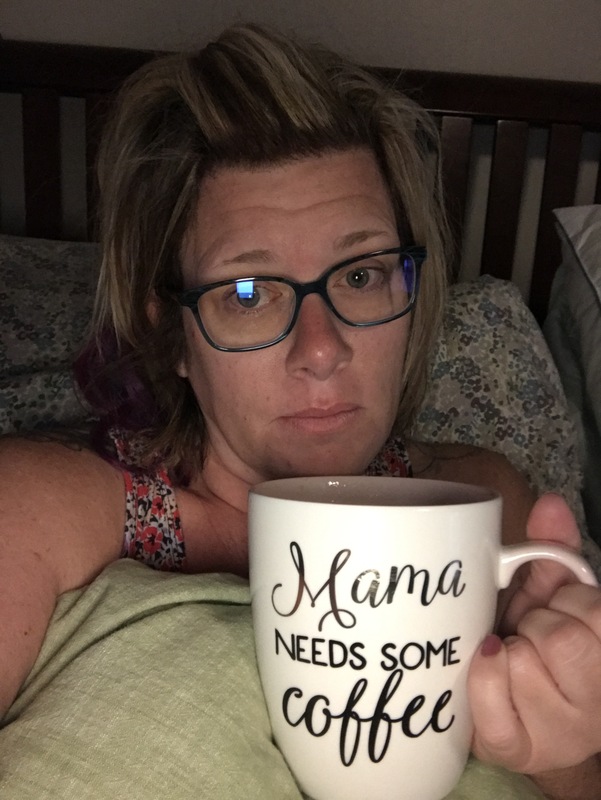 We need coffee (seriously NEED), I need snacks for Nate’s last regular season little league game tomorrow, we have people coming over this weekend – so I need to do some cleaning…. So while my fantasy of taking a whole do nothing day will have to wait – I am going to at least give myself a lazy start to the day! Hope you have a great Friday my friends! Be sure to make some Mama’s day a little brighter this weekend…. she deserves it (trust me)! Previous Post When I Grow Up…..